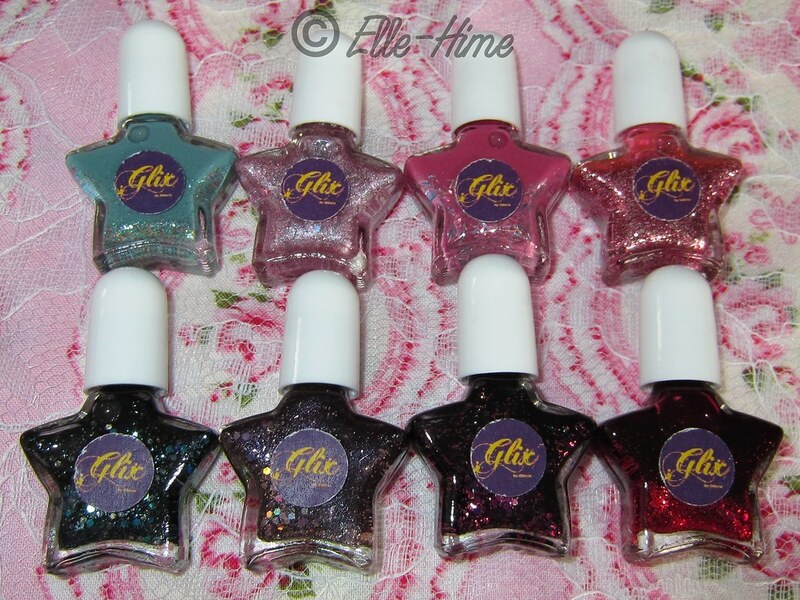 Princessly Polished: Glitrix Haul - Glix Polish Bottle Pictures! Pretty, aren't they? Also, only a few of these have settling issues, so it looks like her formula is improving! I have individual bottle shots and brief descriptions of their glitter after the jump. Dianthus vibrant pink jelly packed with tiny pink, blue, green and silver glitter EDIT: so packed that I didn't notice until vigorous shaking that this contains silver hex and STAR-shape glitter, as well!! I'm not going into too much detail about each polish because I will be wearing these and sharing more pictures and thoughts on the colors later. 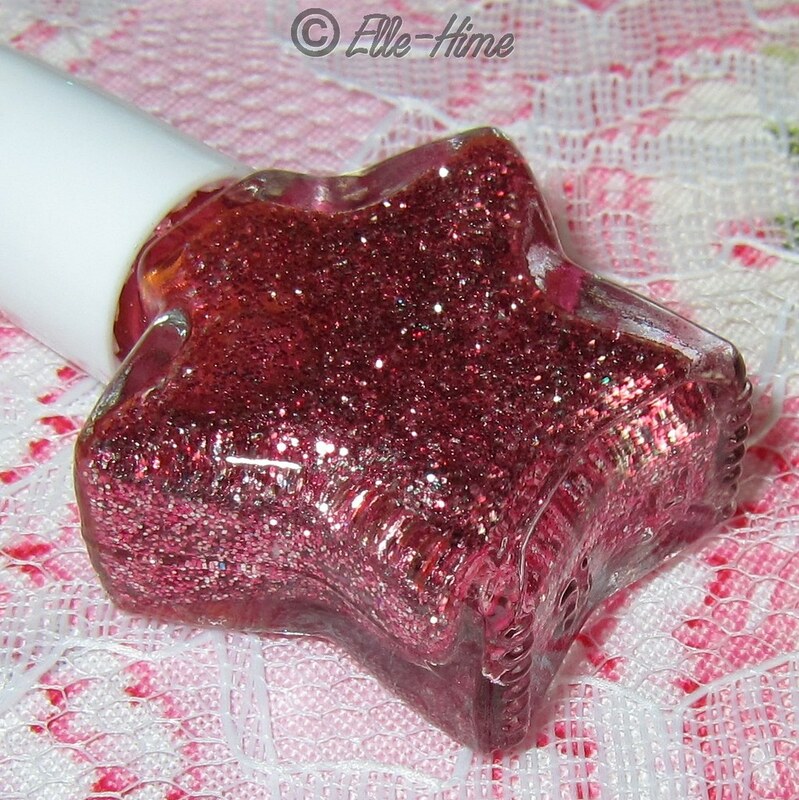 As always you can find Glitrix on etsy here and buy Glix polishes for yourself. They ship for free! I love the bottles! I also think the bracelet is adorable!!! The mint one is very pretty! I love the bottles, and the colors look really good too. They sure are! 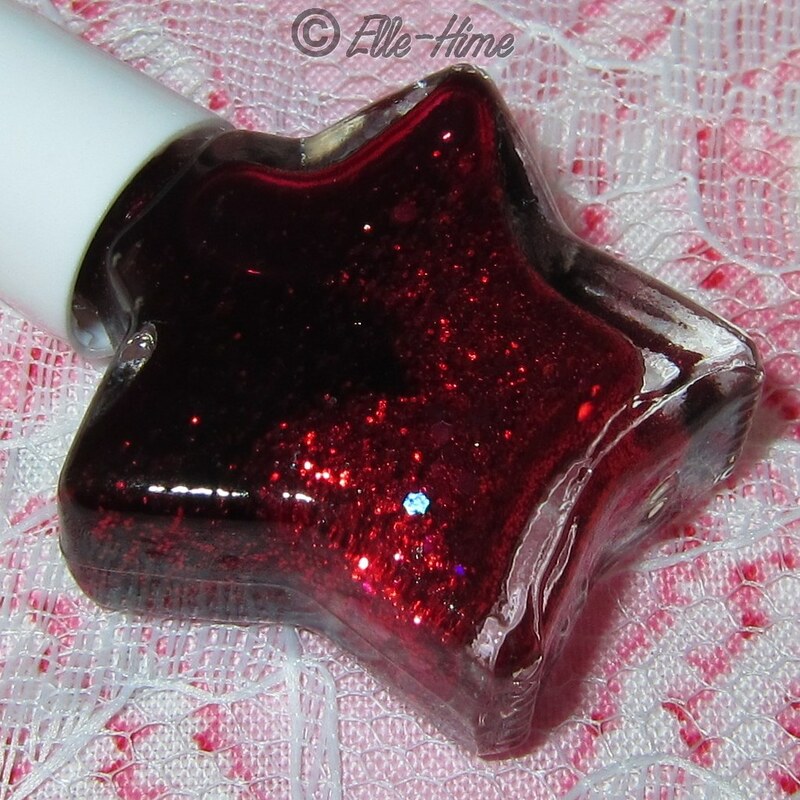 I had never seen star bottles before finding Glix on etsy. It really is a pretty bunch of nail polish! I may have to do a video of these because my pictures don't show how they flash in person!